Yeti Tumbler – We can all agree that nothing beats a cup of hot coffee in the morning. But there are things that can come in the way that may prevent us from sipping that warm beverage, like an urgent staff meeting. During those instances, you’d really want to have a tumbler that can keep your coffee for a long time. There are many tumblers available but two stand out for the quality of their construction, durability, and function. Here’s the Ozark Trail vs Yeti Tumbler review which explains it all. So which is best, the Yeti Tumbler or the Ozark Trail Tumbler? Both stainless steel tumblers kept hot drinks hot and cold drinks cold. Other great things are that they both fit in drink holders and are easy to grip without condensation. They are both BPA free, insulated and vacuum sealed. There are two big differences though, so it really depends what is most important to you. Which is best Yeti or Ozark Trail? Here’s the Ozark Trail 30 oz review to compare with the Yeti Rambler review so you can decide for yourself. If you haven’t heard of the brand name Ozark, then you should know that it is a company that specializes in outdoor recreation products. Aside from the tumbler, it also produces and sells tents, trail chairs, insulated jugs, and portable fans. The Ozark Trail Tumbler is a 30 ounce, double-walled, vacuum-sealed tumbler that is great for both hot and cold liquids. There are two other sizes available—20 ounce and 12 ounce. It is very much capable of keeping your coffee and tea hot for an extended period. Most Amazon.com users say that it can keep their coffee warm for 3 – 5 hours. But when it comes to keeping beverages cold, the Ozark Trail Tumbler is more dependable. In fact it can keep an ice block solid for over 12 hours. The Ozark Trail Tumbler 30 ounce version is large. You will appreciate how it is well-built, with a clear lid that seals in tightly. Its exterior is also designed well. Plus it fits a standard car cup holder nicely. Although the Ozark Trail Tumbler is not dishwasher safe, it is very easy to clean by hand washing. This vacuum-sealed, stainless steel tumbler will prove to keep your cold drinks cold longer than 12 hours, and hot drinks hot. You will be stunned at how long your ice stays intact as well. It’s also great for smoothies. Changing beverages won’t be a problem as there will likely not be a residual taste in the tumbler as long as you clean it thoroughly. Definitely, the Ozark Trail tumbler is the ideal companion for your morning commute or outdoor adventure. 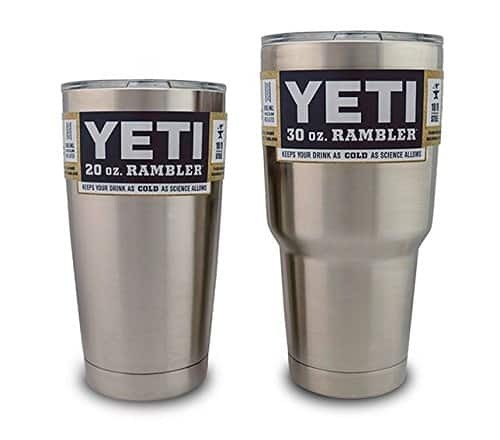 Another tumbler that you can look for is the Yeti Rambler Tumbler. Yeti is a brand recognized for its coolers, and it refers to the Rambler Tumbler as its personal drink cooler. Yeti is well-recognized as it was the forerunner in these products. It is made with stainless steel with vacuum-insulated walls designed for regulating ambient liquid temperature. Like the Ozark Trail, it has 30 ounce and 20 ounce versions. The Rambler Lowball is the mini version of the tumbler but unlike the Ozark Trail which is 12 ounces, it is only 10 ounces. The 18/8 stainless steel gives it a clean palate, and doesn’t leave behind any metallic taste. The tumbler is also very easy to wash as both the cup and lid is dishwasher safe. This is a huge advantage knowing you can save time by not having to hand-wash it. As in the case of the Ozark Trail, you will also like that the Yeti doesn’t leave behind any residual taste, meaning you won’t taste the coffee you had in the morning when you drink water from the tumbler in the afternoon. How long can the Yeti Rambler keep beverages hot or cold? But the question that may be lingering in your mind is —how long can the tumbler keep your beverage hot or cold? Let’s just say that the Yeti Tumbler can keep your favorite liquids hot or cold for hours longer than you probably need it to. According to most user reviews, the Yeti Tumbler can keep hot coffee warm for five to six hours at room temperature. It is very impressive when compared to your typical titanium mug. The Yeti Rambler keeps ice for over 12 hours, which essentially makes it a mini ice chest. 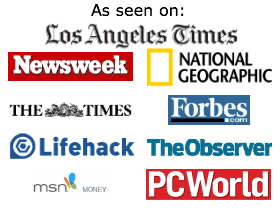 Many reviewers keep raving about how durable it is. Of course, neither of these will replace your best insulated water bottle, which can also hold more than water. For one, you can’t expect to throw it in your backpack without spilling. While the plastic lid fits securely on top, it may still spill its contents when the tumbler tips over. The same goes for Ozark’s tumbler. While the lid seals in tightly, there are still complaints about the contents spilling over. As such, you’d rather not use both the tumblers as replacement for your stainless steel insulated water bottle. But again, these are different products for different purposes. So the question is—what is better, the Yeti Tumbler or the Ozark Trail Tumbler? While it cannot be denied that the Yeti Tumbler is a great tumbler for keeping beverages cold or hot for an extended period, it is also hard to deny that it is pricey. 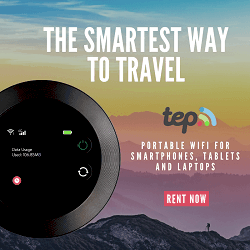 It price starting at can be pretty steep especially for the budget conscious. This is where the Ozark Trail Tumbler gets a lot of love, because it is very inexpensive. You can basically get the same type of performance that Yeti Tumbler can give you but get two of them for the same price. Walmart’s tumbler is strong competition, especially if you don’t concern yourself with labels and brand names. In the Ozark Trail v Yeti face off, their design and performance are almost the same. In fact, when you place the Ozark and the Yeti tumblers next to each other, you would have a hard time figuring out the differences. The only difference is the logo. The shape and weight of both tumblers are very much the same. More surprisingly, their lids are interchangeable. You can use the lid of the Ozark to seal the Yeti tumbler, and vice versa. This is great if you want to have replacement lids. You might as well get the less expensive lid. The two tumblers are also very good in keeping beverage cold. Most online reviews indicate that it can keep ice for more than 12 hours. When it comes to hot beverages, you can count on these tumblers to keep your coffee or tea warm for more than five hours. According to The Wall St. Journal, in terms of maintenance, Yeti Tumblers seem to have an upper hand over its competition as the Yeti is dishwasher safe. Ozark Trail tumblers are not dishwasher safe thus you will have to clean it the traditional way which is by hand washing. Unfortunately, like most all water bottles and tumblers, they are made in China. Neither win in the Ozark Trail vs Yeti decision. Yeti comes with a three year limited warranty but Ozark Trail tops it with a lifetime warranty. After considering all those factors, it is easy to say that the Ozark Trail tumbler at Walmart provides users with more value. The Ozark Trail can keep beverages warm or cold for an extended period in the same way as its pricier counterpart does. It is also well-made with a heavy duty body and a nice, stainless steel finish. Both tumblers look very much the same, so it is a no-contest in this area. You want hot coffee and cold soda, right? Yet if you have a regular glass in the office, chances are you won’t be able to enjoy one after coming back from an hour long meeting. That’s why tumblers are usually a fixture in the office. Tumblers enable office workers to enjoy their beverages hot and cold. Okay, it’s Yeti vs Ozark Trail. Because it is cheaper and practically does everything that the Yeti Tumbler does, it is not surprising that Walmart’s Ozark Trail tumblers are selling fast. 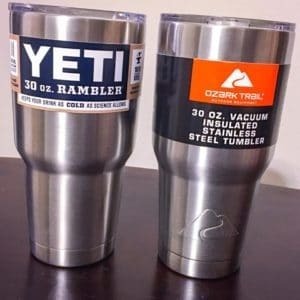 Unless you really care about being able to wash your stainless steel tumbler in the dishwasher, the Ozark Trail tumbler is a more practical option than the Yeti tumbler.